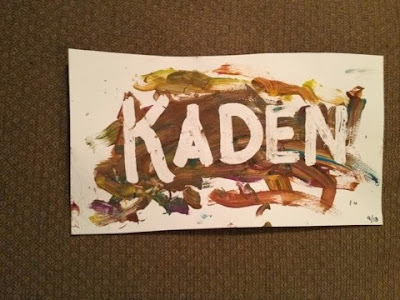 I was looking for a good, inexpensive craft to do with toddlers and found a this idea on Pinterest. You use masking fluid or painter's tape your child's name on paper or canvas. 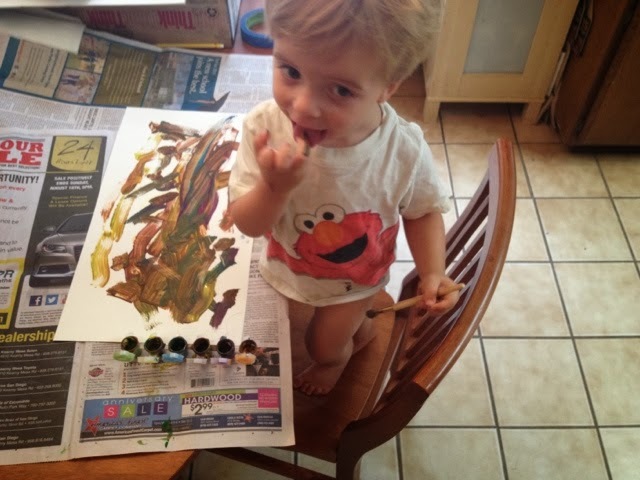 Once it dries, let the little kid paint away... with washable paint, of course! We also used this kid of paint. These are great, but the painting tends to turn brown with all the options of colors. Paper is fine for this project, but I prefer canvas. 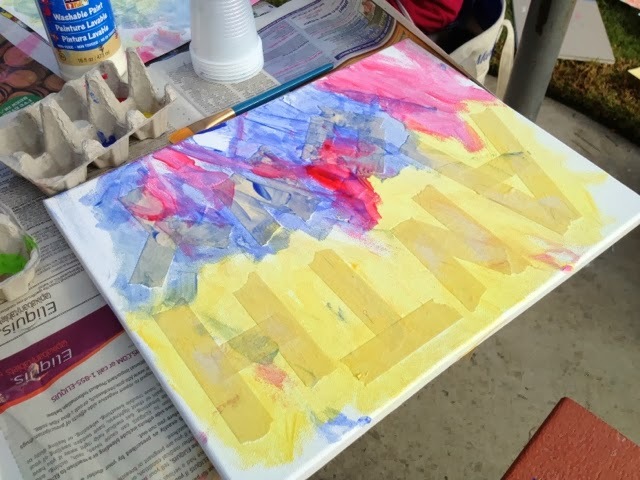 Tape and masking fluid are both easier to remove from canvas. These materials tend to pull up some of the paper when we used bristol and watercolor paper, although canvas paper would probably work just fine, too. We used masking fluid and it was a little difficult to get off the paper, but it still looked cool. Had to make sure he didn't eat the paint! Noooooooo!!! 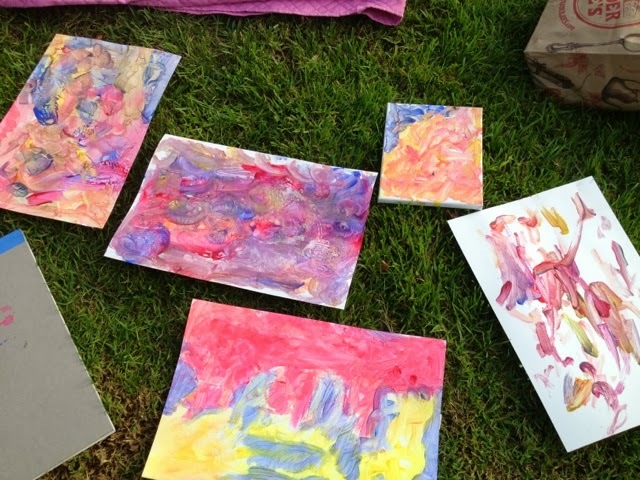 Here are the one's our friends did on watercolor paper, and canvas. The painters tape seemed to work a lot better on canvas, too. Painters tape created a more geometric design than the masking fluid because of its angular nature. You also may have to split up the letters in the name to fit the canvas. 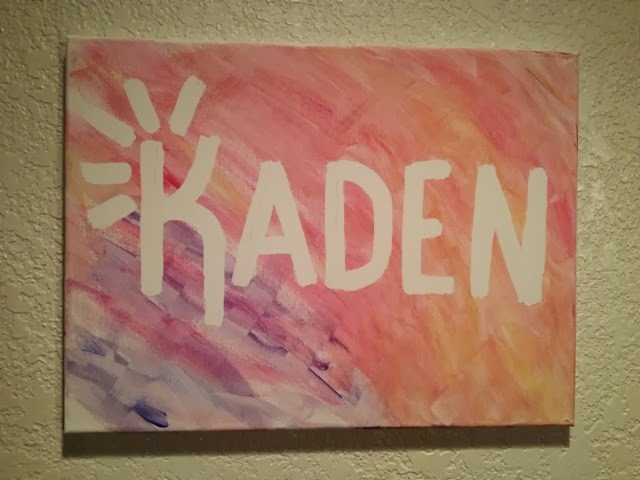 Then, you simply tape or paint the child's name on a canvas for them (depending on if you use masking tape or fluid), wait for it to dry, then let them paint away on the canvas. Once dry, you remove the taped off name and reveal the clean canvas. Gotta get the supplies to try this! This is a really cute idea, great for decorating young people's rooms! I think this project is in our very near future. VERY cute idea! Thanks for sharing this.